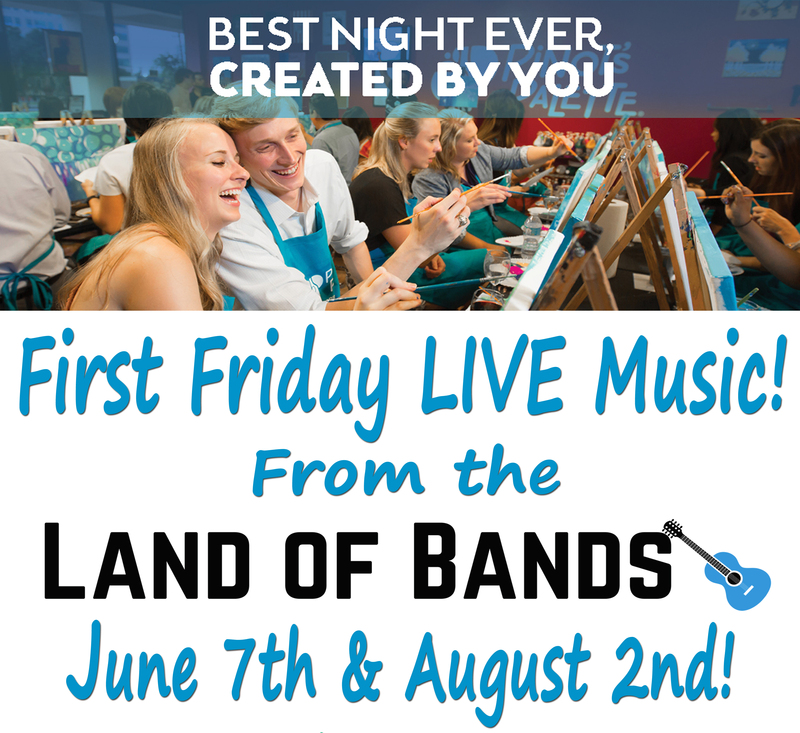 Live Music Coming this Summer during the First Friday Art Walk! We're partnering with The Land of Bands to Bring you Live Music! Friday June 7th and Friday August 2nd from 7-9 PM. Enjoy Live Music while Painting, Drinking, and Having FUN! The First Friday Art Walk starts at 6 PM on the First Friday of Each Month. This summer we've decided to bring you Live Music during the Art Walk. Come on in for Live Music, Featured Art, a Live Show taught by one of our talented artists, discounted open studio pricing, and wine tasting! Join our Painting class from 7-9 PM or paint a mini 8x8" canvas for just $10 on your own. Check out our featured artist and their artwork or look at purchasing one of our paintings for just $10. Try one of our house wines and see just what we're all about here at Pinot's Palette Fort Collins!